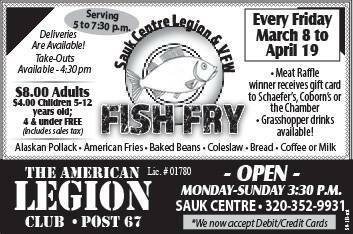 Come on down for the Legion & VFW Fish Fry! 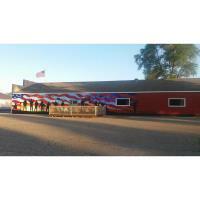 Serving Alaskan Pollack * American Fries * Baked Beans * Coleslaw * Bread * Coffee & Milk. Also, don't miss out on our meat raffle while you are here! Winner receives a gift card to Schaefer's, Coborns, or Chamber Bucks! Winner's choice! You can also get your favorite beverages or have a grasshopper!